The crimping tool (crimper) T5009 is for crimping connectors such as F, N, BNC.TNC, UHF, ST, SC, SMA, etc. For example, it can be used for our BNC connector model No.CT5045, CT5013, CT5014, CT5015. If you are interested in this crimping tool, please don't hesitate to contact us. We are ready to reply you within 24 hours after receipt of your request. Business Description: Chinasky Electronics Co., Ltd. is the leading manufacturer and exporter of CCTV products in China. 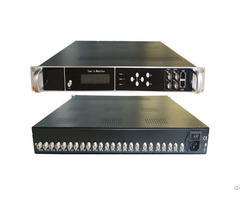 We are specialized in developing, manufacturing and exporting CCTV power supplies, CCTV cables and other CCTV accessories. We have more than 10 years' experience in the security and surveillance industry.